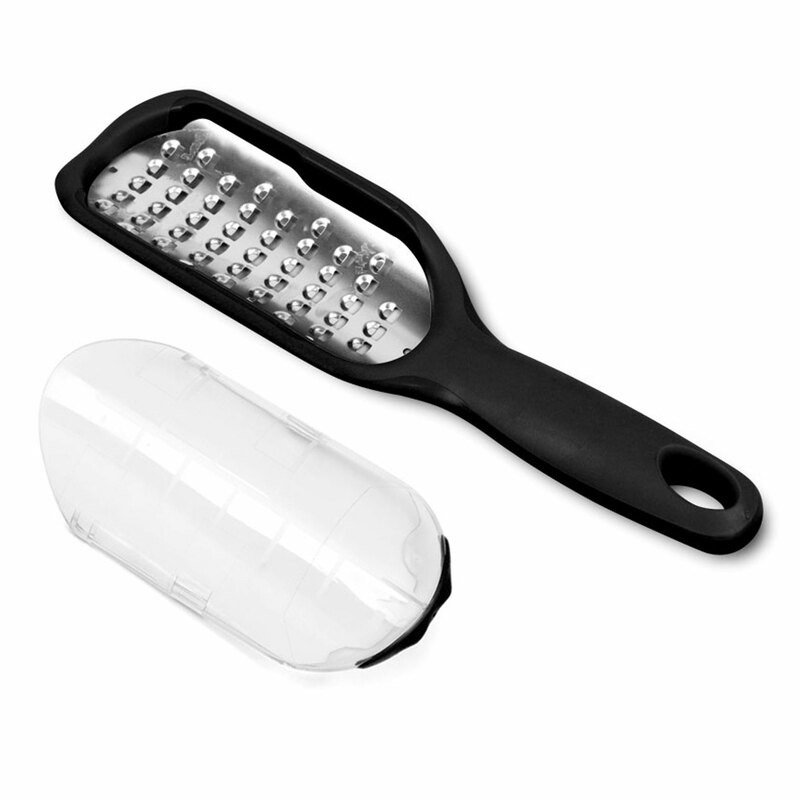 Set includes a Microplane Elite Black Coarse Grater, Ribbon Grater, Fine Grater, Extra Coarse Grater, and Zester. 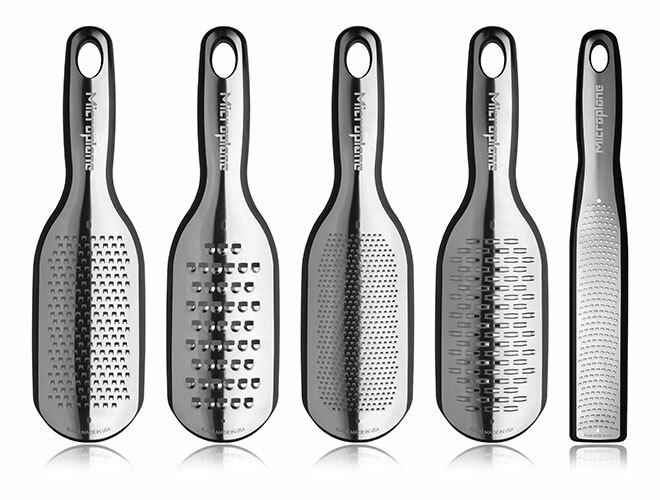 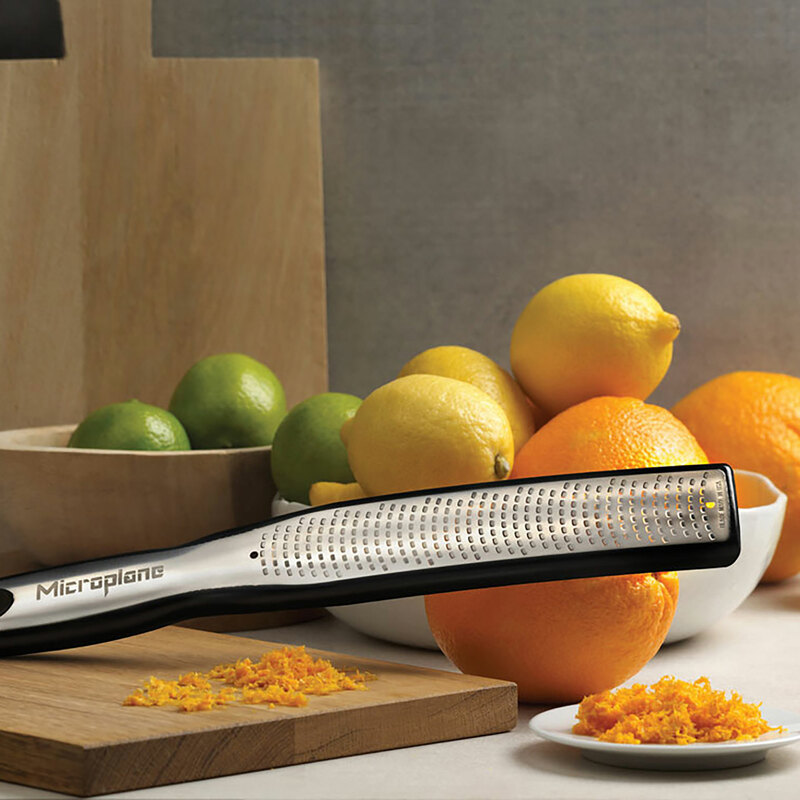 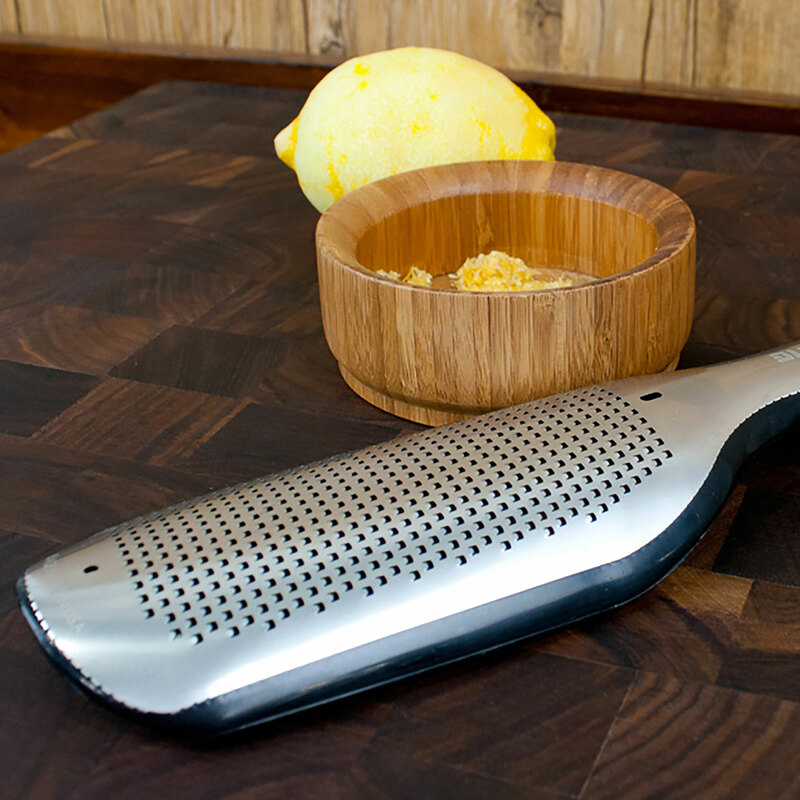 Microplane Graters are named for the shape of their dual edged teeth, which grate thin strips in two directions. 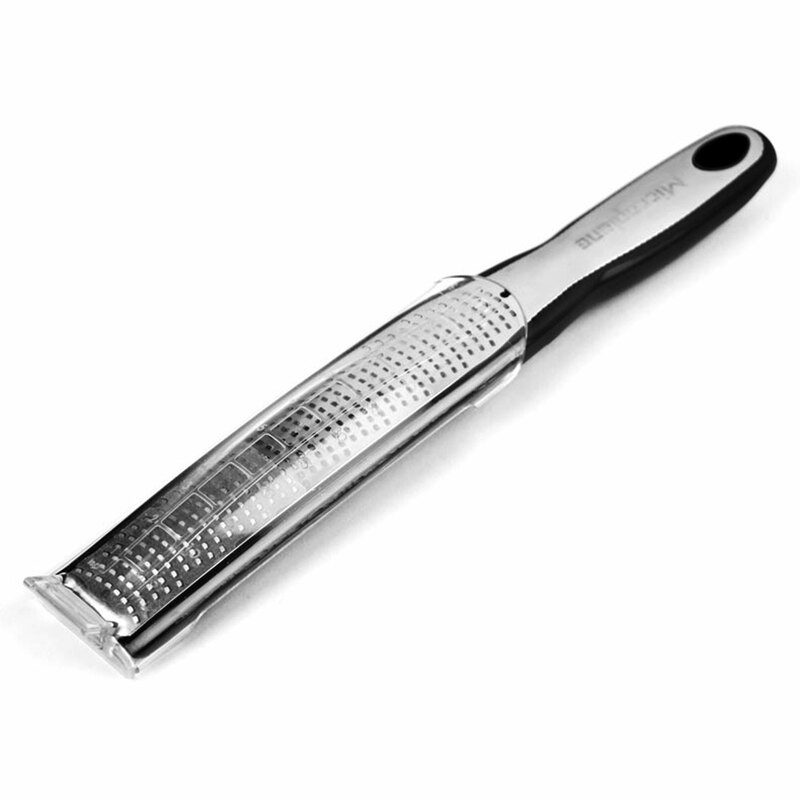 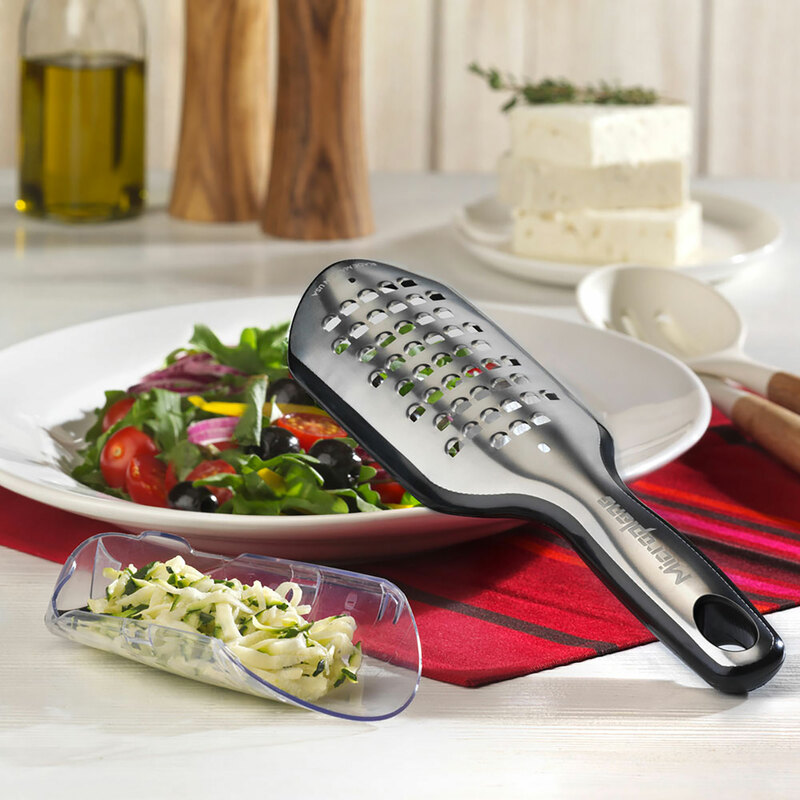 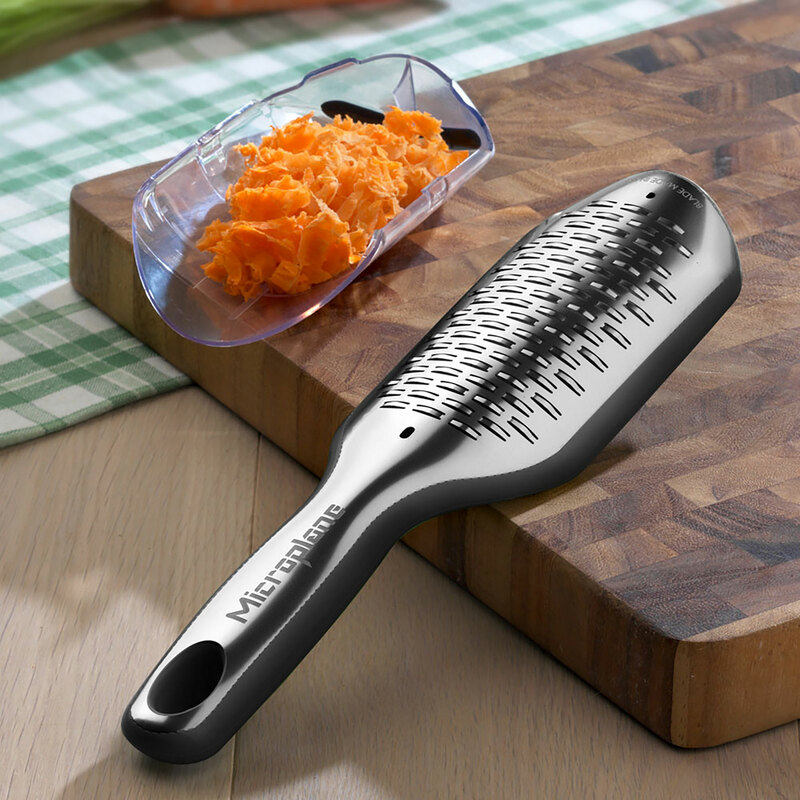 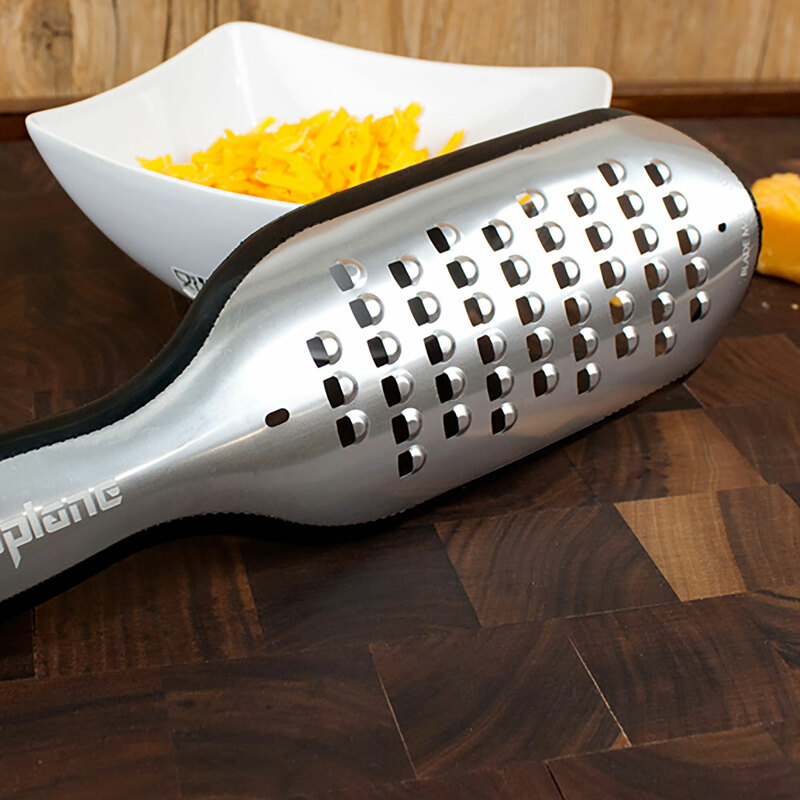 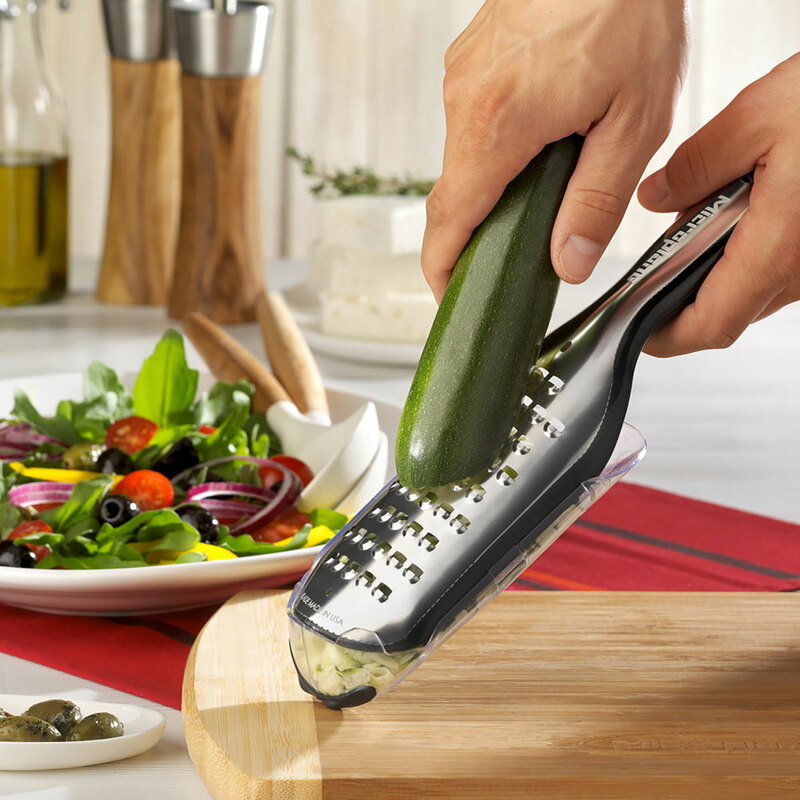 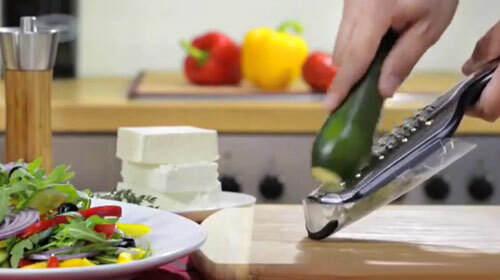 The ultra-sharp cutting edges make it the perfect tool for grating fresh ingredients over any type of food. 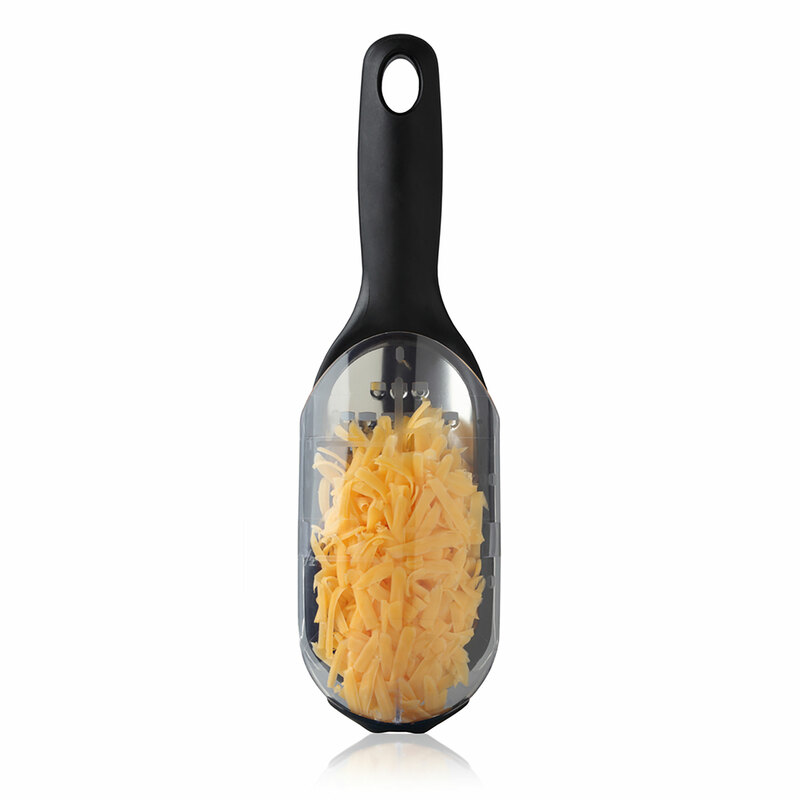 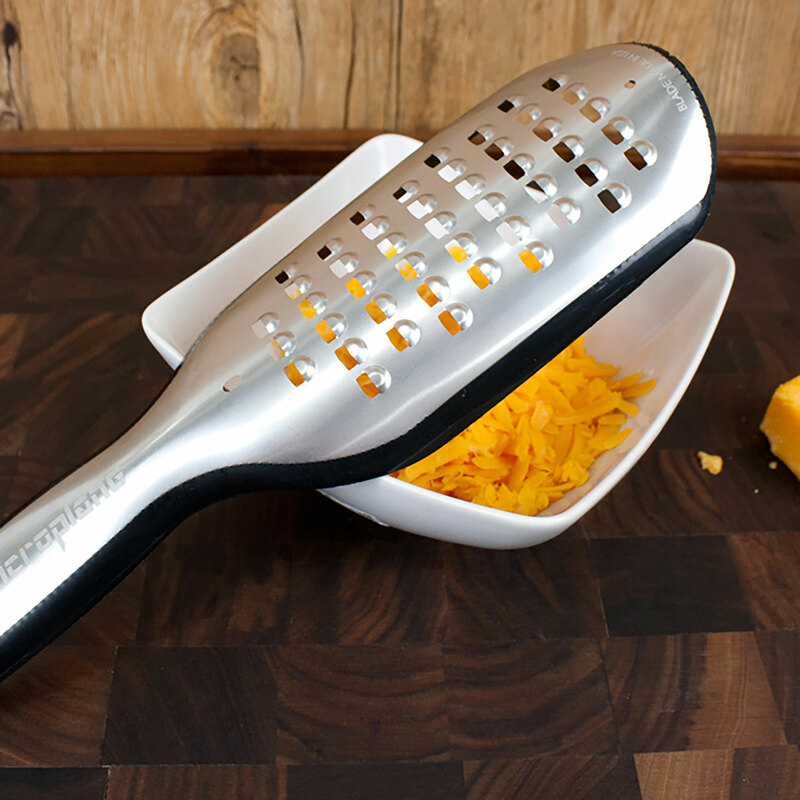 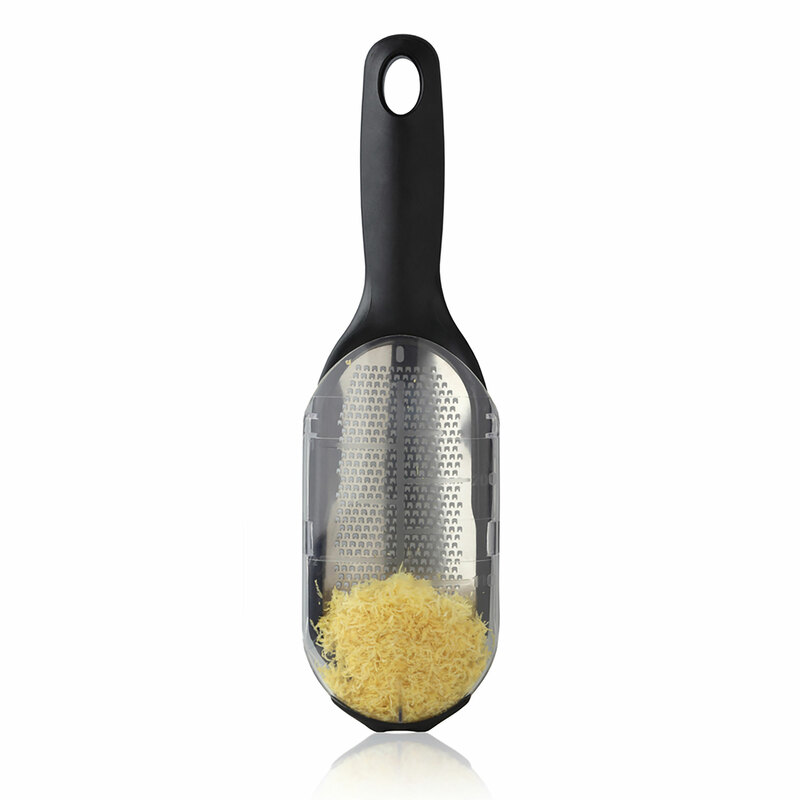 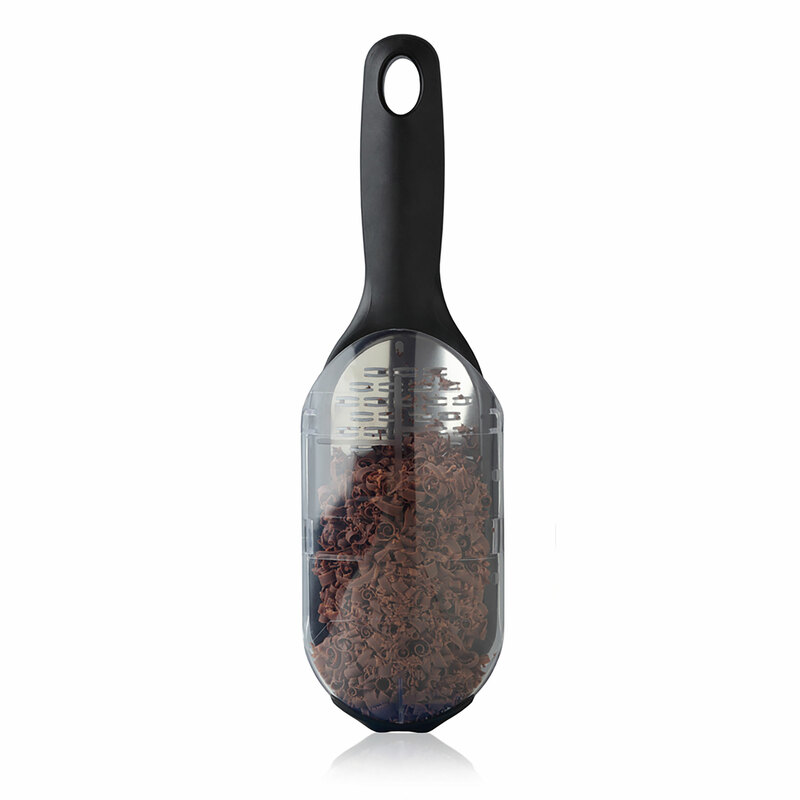 The graters are paddle-shaped, giving a large surface area to make grating quick and effortless. 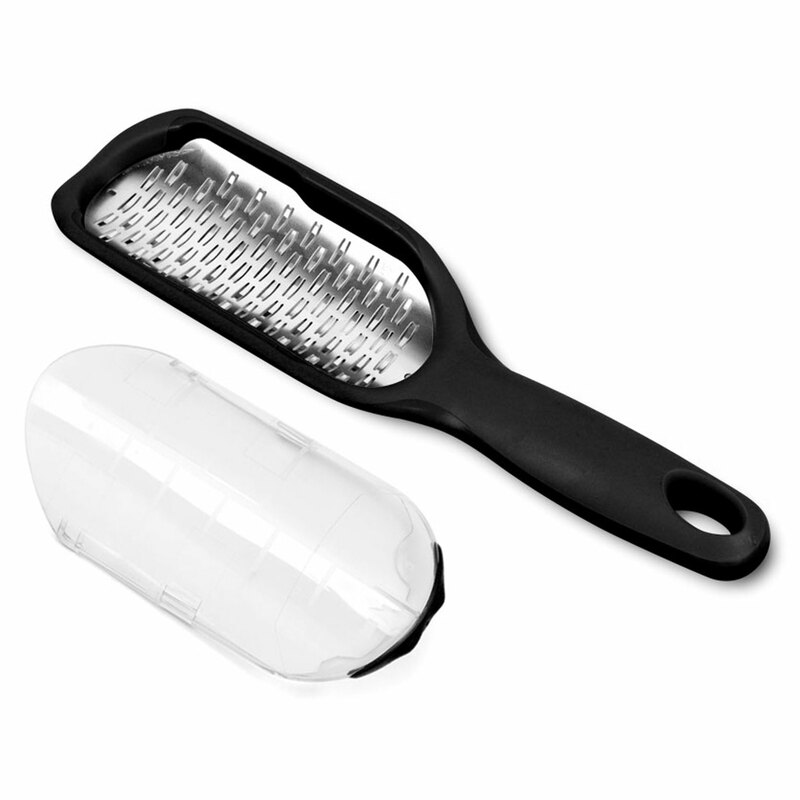 Also includes a slip-on cover to conveniently store and preserve the extra-sharp surface.